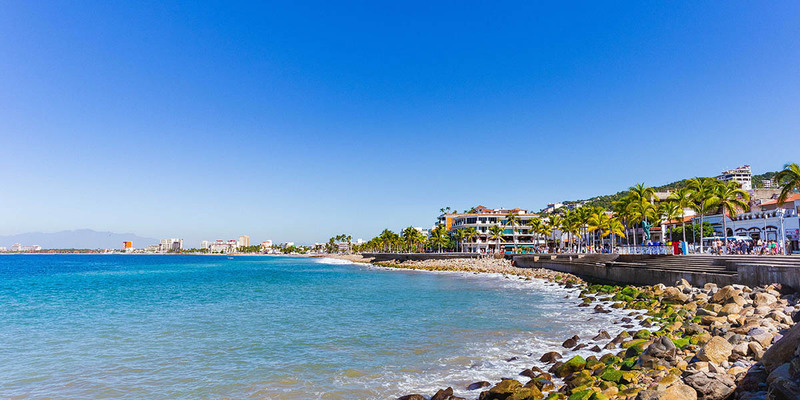 Due to the palm-peppered mountains and vast ocean waters that surround the town, Puerto Vallarta is a haven for discovery, adventure, and relaxation. 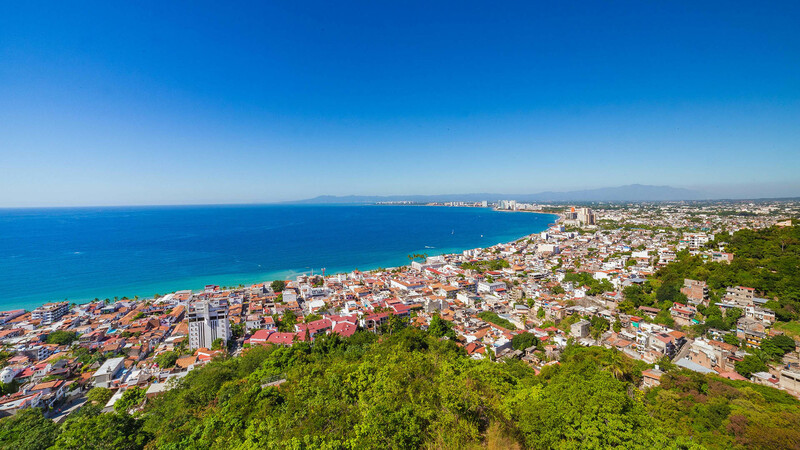 Visitors can revel in a myriad of fun things to do in Puerto Vallarta, including ziplining over the trees in the mountains, catching Marlin out on Banderas Bay, or simply relaxing on some of the most beautiful beaches in Mexico. 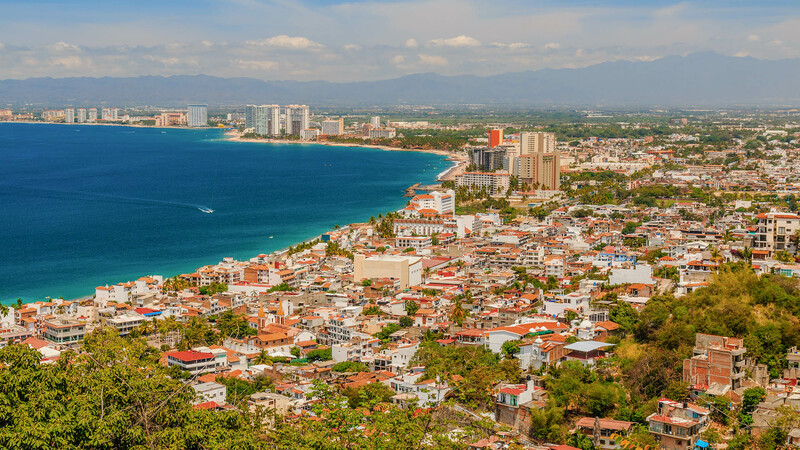 The opportunities in the top Mexican destination are so diverse that one might not know where to start,which is why trying a little of everything when choosing what to do in Puerto Vallarta is the way to go. Experience the best of the city when you get downtown, get outside, get in the water, and get to the beach. 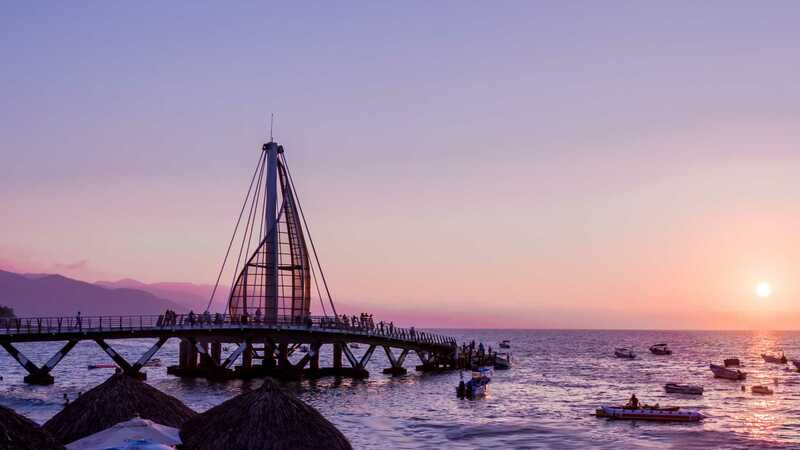 Whether you stay busy or relax, the diverse Puerto Vallarta activities will keep you enthralled from sun up to sun down. 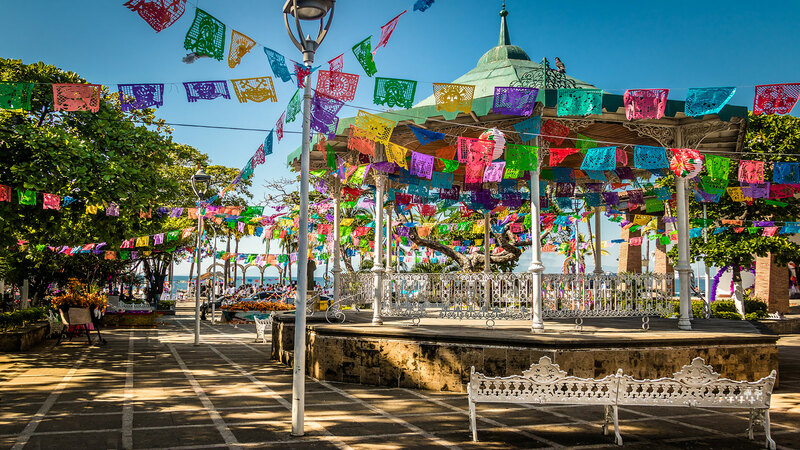 Get Downtown: When you search the best things to do in Puerto Vallarta, you’ll come across information about the top Puerto Vallarta tours and a slew of pictures of the diverse hotspots around town. The famous crowned church, Our Lady of Guadalupe, is by far one of the most photographed icons in the top Mexican destination. Located in the heart of Banderas Bay, this church is right in front of the main plaza, giving guests both a stunning sight to admire and a glimpse of the history and culture that runs rampant throughout the city. 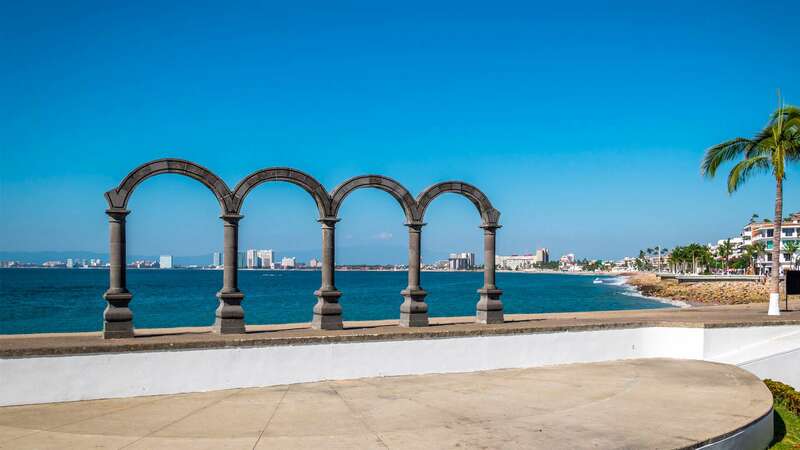 For more Puerto Vallarta activities, stroll along the mile-long Malecon to see an array of sculptures, such as the iconic Seahorse, and the living statues that are just as mesmerizing. 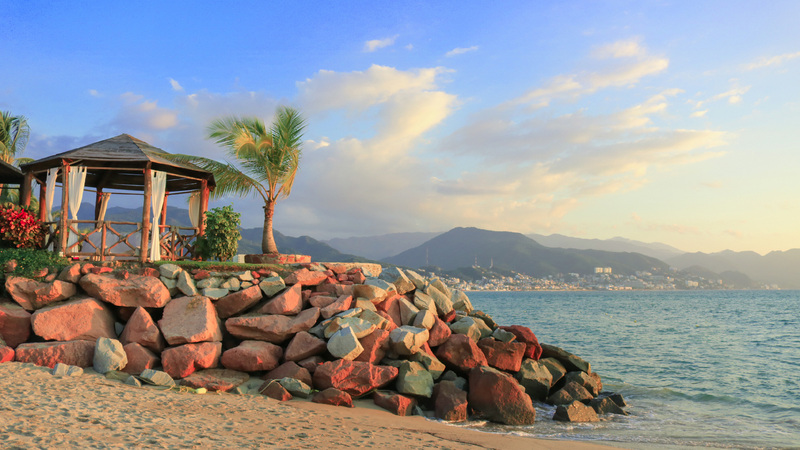 The Puerto Vallarta Malecon is lined with bars, restaurants, souvenir shops, and a countless array of other amenities that beckon you to take out your camera and admire the beautiful surroundings. As the sun goes down, vendors pop up along the strip selling a variety of Mexican food, paintings, and other crafts, while the myriad bars appeal to the crowds with their music and entertaining antics. Barhopping and sampling the tastes of Mexico is one of the top things to do in Puerto Vallarta, especially when you are downtown. Get Outside: Surrounding Puerto Vallarta are the majestic Sierra Madre Mountains; a blanket of emerald green that provides for much more than just a beautiful landscape to admire. There are plenty of activities and Puerto Vallarta tours that will take you up into the mountains to experience a host of fun things to do in Puerto Vallarta. For an adventurous day, head out on a ziplining tour, horseback riding, or ATV driving through the wild jungles. On these tours, you can get up close to the natural flora and fauna of Puerto Vallarta. For something a bit more relaxing, visit the Vallarta Botanical Gardens, which showcase a variety of flowers, trees, and cacti from the diverse regions of Mexico. Stroll through the gardens, hike the trails, or stop in the Peace Chapel before indulging at their delicious restaurant. These outdoor Puerto Vallarta activities will take you on scenic jungle adventures through the mountains and leave you with memories you’ll cherish forever. 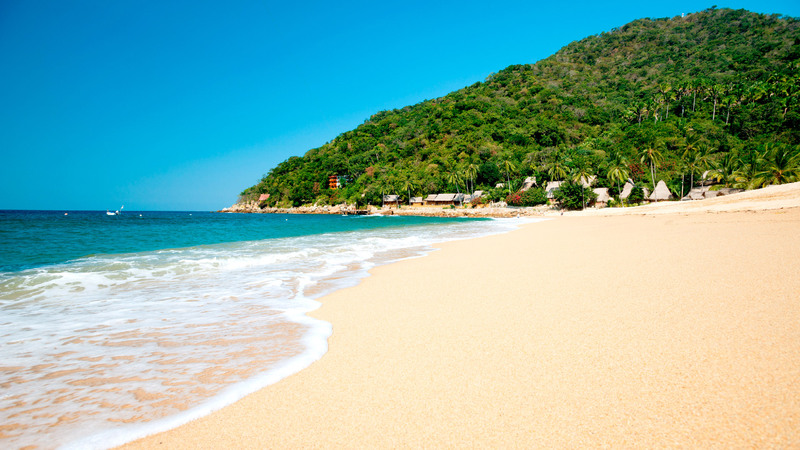 Get to the Beaches: The Puerto Vallarta beaches have made this city a popular destination in Mexico for years. Downtown, you can find Los Muertos Beach, a popular playground for tourists with its many beachfront restaurants and colorful umbrellas. Choose from a variety of activities at Los Muertos Beach, including paddle boarding, parasailing, jet skiing, and banana boat rides. 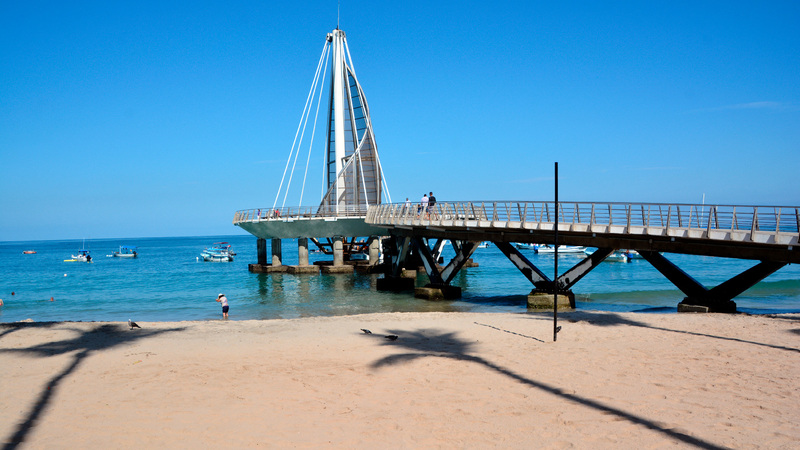 Another of the Puerto Vallarta beaches worth visiting is Playa Camarones. Settled in front of several hotels, this calm stretch of sand is perfect for building sandcastles and reading under an umbrella. Several similar activities are available here as well, in addition to a few beachfront restaurants and bars that are popular among both locals and tourists. If you venture south of the city, Mismaloya offers one of the most unique snorkeling experiences in the bay at the breathtaking Los Arcos. These large rock formations are home to tropical fish and crustaceans that make snorkeling, scuba diving, and paddle boarding through and around the natural arch formations worthwhile. Further south are more remote Puerto Vallarta beaches that offer tranquility, opportunities for surf, and a glimpse into the simplified beach life. Grab a water taxi to Quimixto, Las Animas, or Yelapa and you won’t regret it. Get on the Water: Getting out further on the water is a Puerto Vallarta activity not to be missed. Not only does Banderas Bay provide breathtaking vistas, but the calm waters make the perfect playground for all types of watersports. When looking for what to do in Puerto Vallarta, head out to sea for a day of sun and wildlife. Several companies offer whale watching during the winter months, sport fishing all year long, and unique tours, such as the Marigalante pirate ship, which sets sail twice a day and shoots off fireworks each night.Other Puerto Vallarta tours feature daytime sailing coupled with drinks, music, and stunning views. These tours and activities are by far some of the top things to do in Puerto Vallarta. 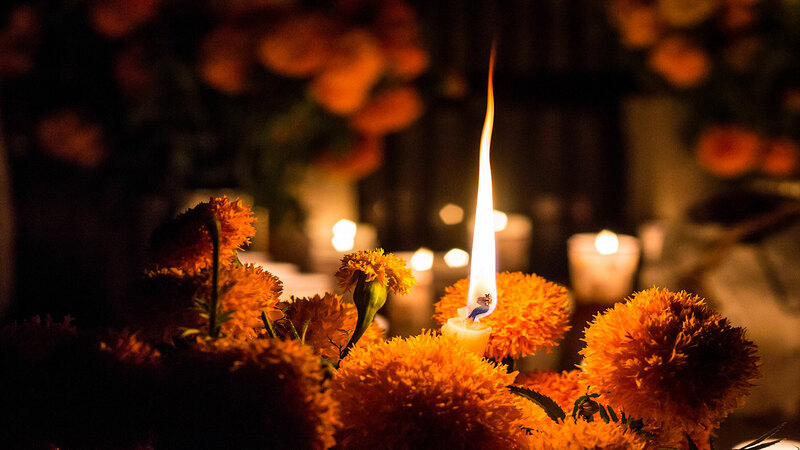 Get Out to Experience the Nightlife: The fun things to do in Puerto Vallarta don’t stop when the sun goes down. Puerto Vallarta nightlife is just as bright and lively. Along the Malecon, clubs and bars beckon guests with music and drinks. From large clubs to small breweries, there’s something for everyone at night. Stop in at Cuban restaurants for a salsa dancing or head over to a theater for a play or concert. For a calmer night, settle down at a late-night restaurant on the beach to bury your toes in the sand while sipping a beer. When you’re looking for what to do in Puerto Vallarta, you’ll never find a dull moment.